I booked a trip to Walt Disney World. 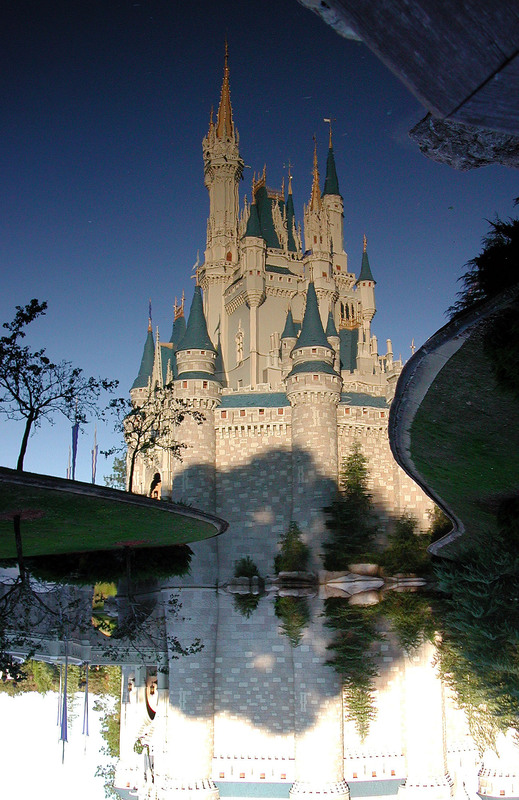 I booked a trip to Walt Disney World … in August. The temperature and the crowds will most likely be unbearable …. But I couldn’t be more excited! This will be our first “big” vacation since our honeymoon. Sure, we’ve planned weekend and day trips, but nothing like a week in the happiest place on earth! I am lucky enough to be surrounded by a Disney-fanatic family. My brother, sister-in-law, niece, nephew and mother will be joining us. There is so much planning that actually goes into a trip like this. The adults have all been to Disney multiple times. My brother and I actually worked there on the Walt Disney World College Program, so our expectations may be a little more extreme than others who are traveling down for the first time. I want this vacation to be exciting, fun and filled with joy, but I also want to enjoy some down time – relaxing by the pool, soaking in a little sun and letting my kids take pleasure in the world that is Disney. The kids have no idea that we are going. I’ve told my boys that we need to “save our money.” They both got piggy banks and have been stuffing loose change and small bills into their banks. This has worked well when we are out and about and they ask for something in a store. My reply, “would you rather have that toy or go on vacation?” The vacation always wins, thankfully! With about two weeks to go until our departure, my husband and I sat down with the boys to see what they came up with. I figured we’d have anywhere from $20-$25…we counted $75! I’m not sure where or how a 6- and 3-year-old could come up with this amount but they did! We’ve been adding to the piles every chance we can and the plan is to tell them the night before that we finally have enough saved and we should leave in the morning! I have small backpacks with activities for the plane (books, sticker books, invisible marker pads, etc. ), personalized “My first time at Disney” t-shirts and special snacks for each of the children. My sister-in-law has created a special message from Mickey and Minnie with bags containing autograph books, lanyards decorated with special pins and fan/water bottles for the parks. The adults have downloaded the “My Disney Experience” app, arranged for airport transportation, placed an order with the grocery store to deliver essentials to our room (milk, fruit, etc), made the dining reservations, booked the fast passes and made reservations for the Pirate League (the boys will be made into real pirates) and the Bibbidi Bobbidi Boutique (my niece will be made into a beautiful princess). I think we’ve covered all of our bases. I’ve got plenty of sunscreen and space on the camera to capture the magic. I’m giddy with excitement to share this with my children, niece and nephew. Keep your fingers crossed that all goes as planned and that there is somewhat of a cool breeze in central Florida. We will be there at the same time as you! We love going in August, the crowds aren’t too bad and if you utilise the Fastpass + system you should be able to get on most rides.